All this while you have been reading my posts but now you are going to hear from me as well. Before I posted this audio in my blog, I did send this to a couple of testers in India and Brazil and their views have made me to go ahead post this as my first audio podcast. ( Look at me, as a tester, I did test my content before posting it for you).Thanks to those folks from Brazil and India for their time and views. This audio you are going to listen, is around 5 minutes and according to me; is able to convey what I wanted to and so I am happy :). 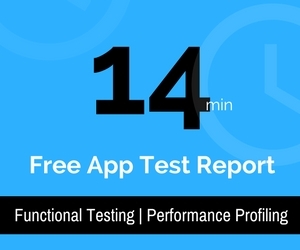 After listening to the file, you would be able to compare the approach of most of the testers in India and the approach that has evolved out of research by experts like James Bach, Cem Kaner , Jerry Weinberg ... I am sure, after listening to the file you might be able to design better tests for any given product and you would gain a satisfaction of bettering yourself as a tester. If you are a newbie to testing, this audio file might be the first step for you to start traveling the road to become a good tester. If you are experienced, no issues, check if there is something missing in your approach after listening. Thanks to Tarik Seth who came to my home to be a part of this exercise. Hey Pradeep, where is the file you are talking about? Now you might want to read - Million questions a tester should ask !
" there could have been a better question here, isn't it? " Thanks a lot for the podcast. It was really helpful, specially for freshers like me, on the approach to be taken for testing. Pradeep Thanx A Lot For teaching us a new way of approach.Tht How should v need to hav the approach while testing.